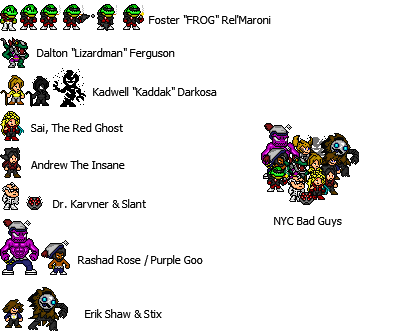 AS I said before, if I get enough done on my zelda game, I would do a bit of work on my side-project. 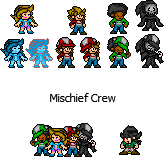 I'll just be updating the sprites for the characters here, not going to put up top-down versions of these characters until those are all done. I changed James sprite so that it matches the others. 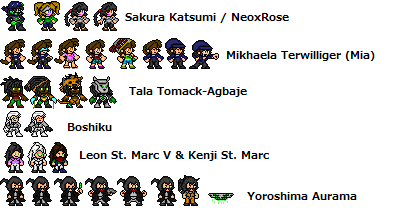 Also alts and other Konta family members. The real surname for the last dude is Darius S.Ishibash, he is a cousin, but does not accept his other family members. The older twin brother of James, who ran off after James defeated him in front of everyone during a tournament event in New Japan. It is unknown to what happen to him, but he ends up becoming a mercenary and resides in the Middle East, near India. He aids there and soon is hired to help out against Allfather, which failed, and him becoming a target to the crazed dictator. He ends up in America and with news going about J-Myare, he thinks his younger brother turned evil, only to find out it was a clone when James pleaded with him. He joins his brother and soon in return, James helps him against Allfather when a tournament rose in the Philippines. The younger brother of James and Jason. 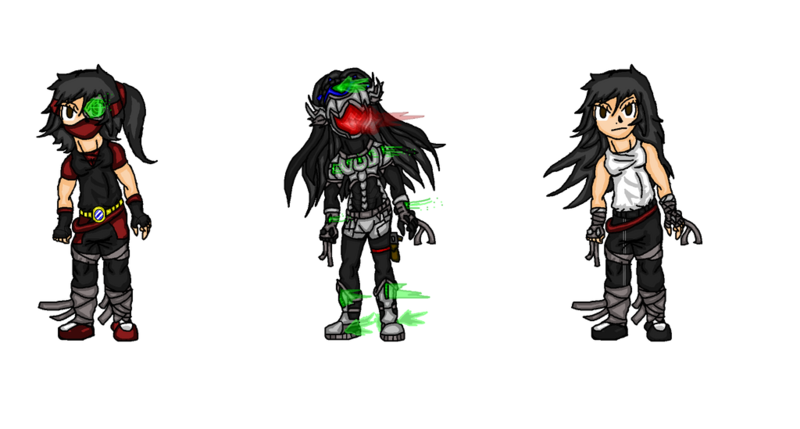 He was young when both his brothers left, but he has the company of Jackyln and her father, Ahkiro Konta. He trains in a mixed technique that matches that of a samurai and a ninja and soon became one of the best, surpassing Jacklyn herself, and probably above his two older brothers. He puts his skills to the test when the time to defend New Japan took place. She is a cousin of James. She is one of the first to witness her cousin James and defend him from the Metalheads, who soon impaled and seemingly killed James. She fought to the very end until she was nearly killed herself, but is saved by James, who turned out to be alive. After James left to America, she resides at her father's dojo alongside Joshua. A criminal soon broke free those imprison and stole robotic parts to attack the people of New Japan, however, Jacklyn and other young defenders step up to defend their homeland. She later goes to America herself after reuniting with James during the Haiti/Dominican Republic attack carrier situation. 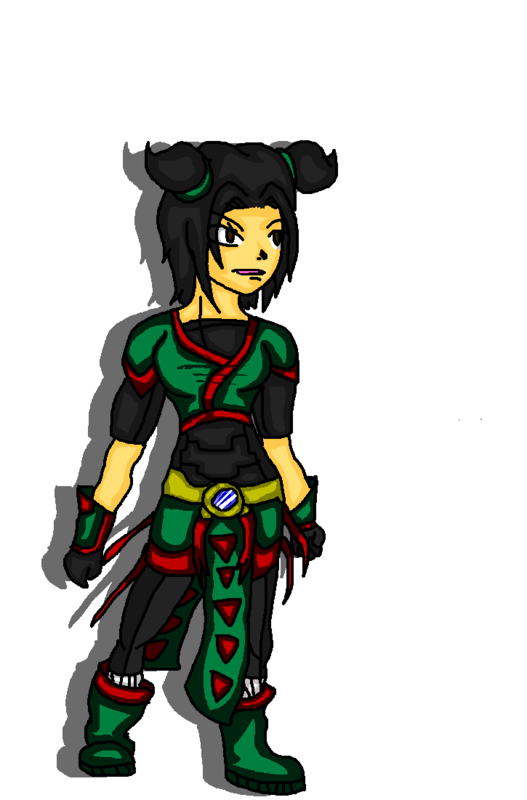 One of the fearless Shadowstep Clan fighters who reside in the islands of Micronesia. He thinks Joseph Konta, James' father and husband of his aunt Hinata Ishibash, killed his father, however, it was a stunt made by a very jealous Dragni who sought power. His father wasn't actually killed, instead was sent into a hibernative state, and he believes that the Konta must pay for nearly killing his father. Unknown to him, he was being manipulated to think this way due to Darius himself being a strong powerhouse Dragni who isn't a stranger to killing his victims. Despite being a cousin of the Konta, he hates Joseph and sees anyone close to or bearing the name as the same, however, he has never seen them (only met Joseph when he was a child), nor came into contact with them until several years later. Darius is a major villain who soon combined forces with The Establishment after the fall of Allfather's dictatorship in the Philippines. He soon goes to NYC to terrorize James and company, wanting to destroy them when a tip was given to him about individuals named James and Jason. Some are not happy about black lines, but it is what I have to work with for the time being, there is quite a few who likes it though. 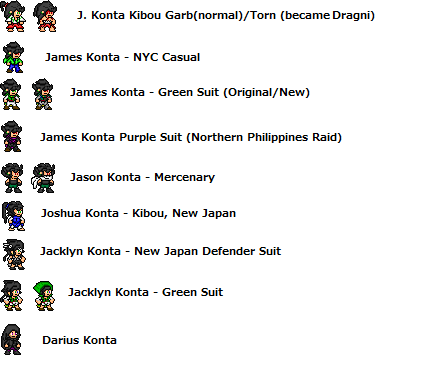 Copy-Kat is the only good guy turned true villain on the spr sheet, while Shameik and Nora are temporarily Anti-Heroes. Shameik is a parkour/thief who sees the heroes as fakes, while Nora protects most of the native american pop in Philadelphia when The Establishment were trying to kidnap victims for experimentation, hence why she doesn't trust anyone until saved herself. 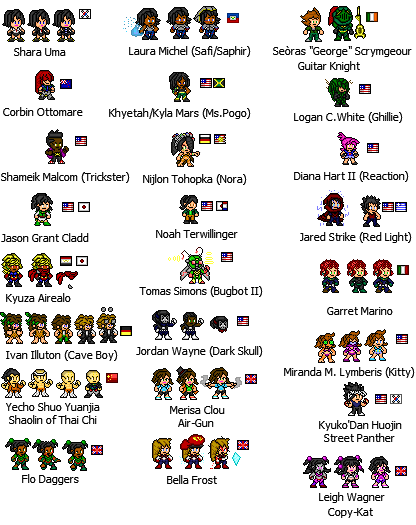 Most of the UK heroes are a team, flash-back sprites, expect Flo and Bella are deceased, killed by Sheer's Establishment. 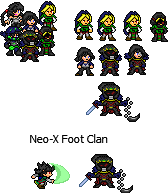 Some upgraded sprites that have been animated. Didn't expect the image to be bigger here. 1. 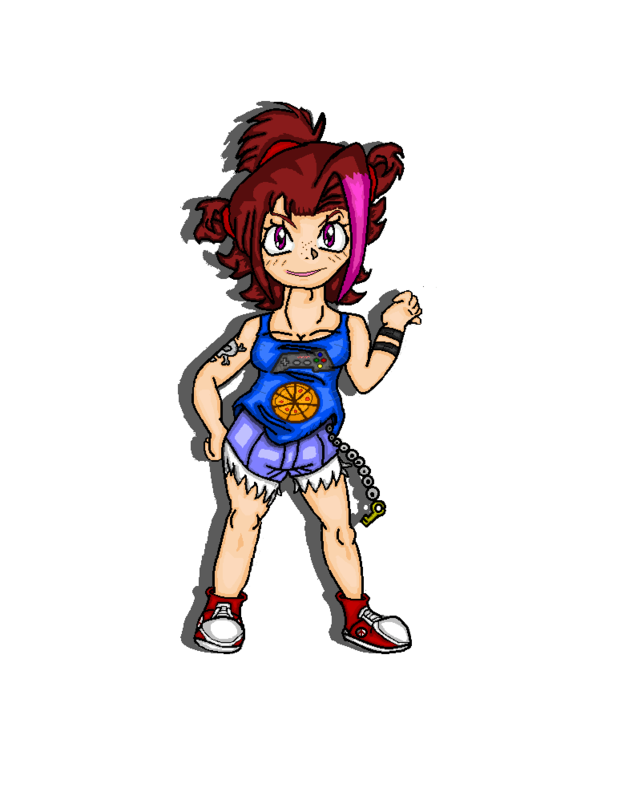 Diana Hart II, gamer girl, pizza delivery driver turned hero when she discovered she has super human reflexes to react to something before it happens. She later joins the group of vigilante heroes in lower Manhattan. She becomes a member of The Red Team, who covers other parts of Manhattan. 2. Terrai Hong, also known as Black Steel. She was was held captive in a human trafficking ring in Hong Kong until she was saved, along ith 117 other captive women/girls, by Bianca Airesus (Steel Maiden) and ever since that day she strives to be like her, going crazy to try and replace her. 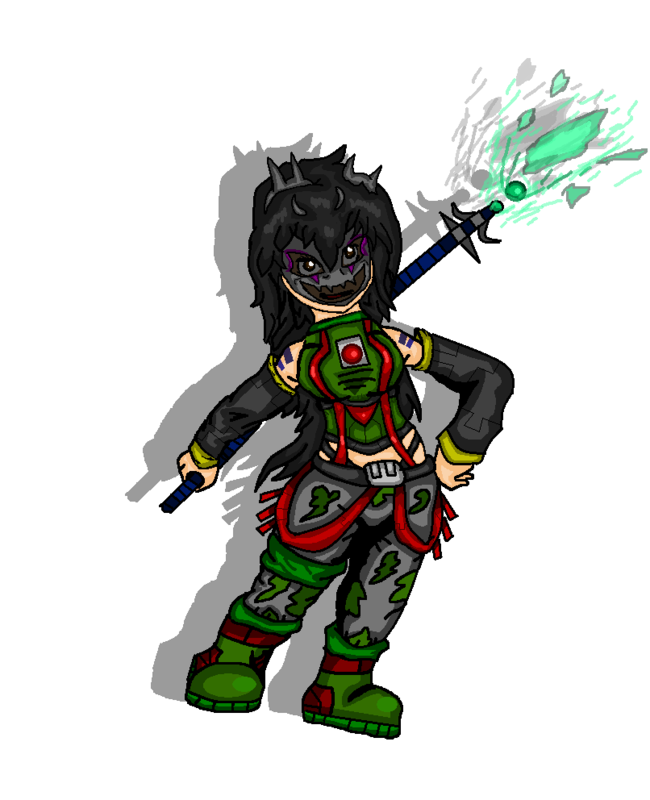 She uses weapons made by a by product from nanotechnology that is extremely lethal, along with electrical weapons and EMPs. 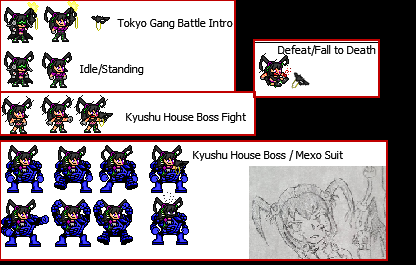 She uses guerrilla based combat to fight her foes. Made some more completed full body art of some of the characters. A young Thailand girl who seek vengeance against Black Shadow gang after what had happen in Beijing China. She uses her skills in martial arts and robotic engineering to become a literal super solider, adding on to her power by using a purified form of nanotechnology weaponry. Intelligent African Huntress turned elite bodyguard for the daughter of an African Diplomat. 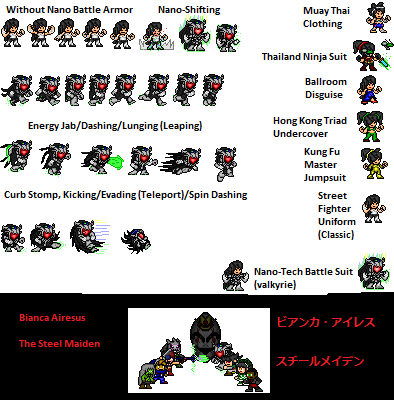 She is a close friend of Bianca and part of The Steel Maiden group after helping in Beijing and Hong Kong. 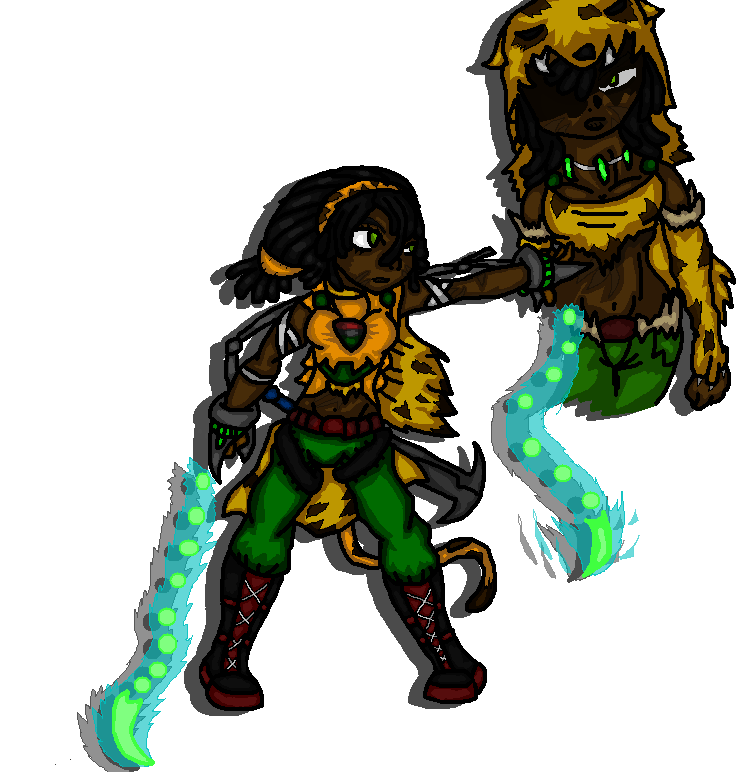 She uses energy weapon chains which she ripped apart from an android based off of animals from African, which was used to attack her people and various cities and tribes. She risked her life going after every android animal and taking down the ring leader, hence the scars all over her body and face. A Chinese orphaned captured by Black Shadow Gang, and eventually saved. She becomes a vigilante in Tokyo Japan, fighting against a criminal group known as Neo Yakuza, and later White Dragon. She wears a green tunic similar to that of James and the others in NYC because she was inspired by them after her move to Japan, alongside her adoptive father. A monk from Dengfeng China with extreme potential. He eventually moves to New York and joins a friend of his in fighting crime in East Village Manhattan. 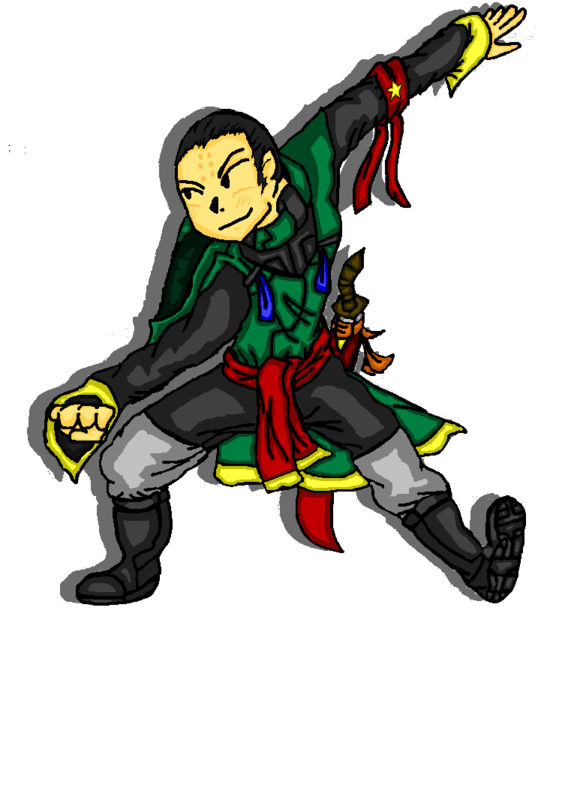 He knows many forms of marital arts from China, his main style is Thai Chi, and often uses it in many of the fights he is in.